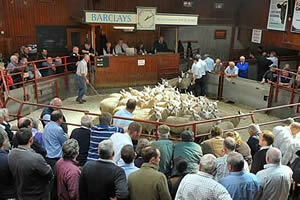 The Cumberland & Dumfriesshire Farmers Mart had forward 806 store lambs at their sale at Longtown on Tuesday 28th December, 2010. Stores were a better quality entry, late rates were easily maintained. Top price of £73.50 for Texels from Gatehousecote, others £68.50 Beech House. Suffolk £71.50 Beech House; Greyface £67.50 Pitland Hills. Cheviot £60 Commonside, £59.50 Watch Hill Cottage, £57 Gilston; Blackface £56, £54.50 Pitland Hills; Swaledale £43 Coldshield.